Dr. Dittus specializes in the diagnosis and management of all types of lymphoma, including B-cell non-Hodgkin lymphoma (NHL), T-cell NHL, Hodgkin lymphoma, central nervous system (CNS) lymphoma, and virus-associated lymphoma. Dr. Dittus is particularly interested in rare lymphomas, including adult T-cell leukemia/lymphoma (ATLL), nodular lymphocyte predominant Hodgkin lymphoma (NLPHL), grey zone lymphoma, and plasmablastic lymphoma. Given the biological heterogeneity of lymphoma, Dr. Dittus works closely with the UNC hematopathologists to ensure each patient has an accurate diagnosis. Dr. Dittus also understands the importance of subtype-specific lymphoma treatment, and is interested in using novel immunotherapy, traditional chemotherapy, and combination regimens to target these specific subtypes. Dr. Dittus is also actively involved in postgraduate medical education. He teaches residents, fellows, and advanced practice providers (APPs) on the inpatient service, and has two hematology-oncology fellows in his clinic. Additionally, Dr. Dittus delivers many lymphoma lectures to the fellows and APPs, as well as to colleagues in community hospitals. Dr. Dittus is the primary investigator for many lymphoma trials that are open here at UNC. He works closely with lymphoma advocacy groups, cancer research consortiums, industry, and the UNC clinical research department, to ensure our patients have access to novel treatments for all types of lymphoma. Dr. Dittus’s primary research interest is to find effective treatments for rare or underserved lymphomas. During his fellowship training, he encountered an aggressive type of rare lymphoma with very few treatment options: HTLV-1 associated ATLL. 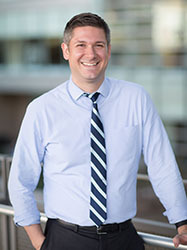 By collaborating with Boston-area hospitals, Dr. Dittus created the Rare Lymphoma Working Group (RLWG), which has led to a small phase II trial evaluating a novel immunochemotherapy regimen that combines the antibody-drug conjugate, brentuximab vedotin, with the conventional chemotherapy regimen, CHEP (cyclophosphamide, doxorubicin, etoposide, prednisone). Additionally, Dr. Dittus has written review articles and book chapters on many topics in hematology-oncology, including ATLL. Other current projects include a single-institution review of prognostic and treatment factors in primary CNS lymphoma, as well as a review of how the introduction of bortezomib into treatment regimens effects outcome in plasmablastic lymphoma. Looking forward, Dr. Dittus’s research will focus on developing phase I and II clinical trials for evaluating novel therapeutics for Hodgkin and Non-Hodgkin Lymphoma. This includes completely new therapeutic approaches to treat lymphoma, such as using novel chimeric antigen receptor (CAR) T-cell therapy, applying novel immunotherapy agents, and uncovering new applications for currently existing therapeutics.